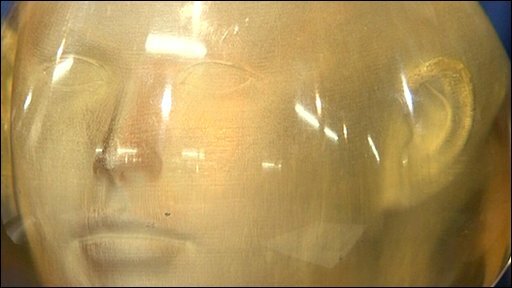 LJ Rich meets the people who use a 3D printing machine to build ornaments and jewellery at Newcastle's Maker Faire. Hacking and making is no longer just about hardware and software, increasingly it is about wetware - that's biology to the uninitiated. Those starting to hack biology want to do for it what the web and easy to use tools such as the Arduino programmable controller have done for hardware hacking. That is make it easy to understand and fun to play around with. "You can get kids interested in electricity and physics because there are lots of kits that they can play with, but that's not true for biology," said Cathal Garvey, one of a growing breed of makers calling themselves synthetic biologists. For his colleague Brian Degger, a biotechnologist turned educator, getting people to play around with biology will help demystify DNA and stop it being seen as a something scary. "We're interested in science but not for its own sake," he said. "This is about citizen science." The pair have drawn up a series of biology experiments that demand little more than common household ingredients. Using only strong spirits and washing up liquid it is possible to separate DNA from pulped kiwi fruit. The detergent breaks down the fat layers holding cells together leaving the DNA to form a clumpy layer under the added spirits. "It's garage biotech," said Mr Degger. 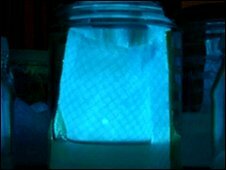 Other experiments include producing a home-made medium for petri dishes and cultivating the bioluminescent bacteria found in squid skin on that jelly. The ambitions of makers such as Cathal Garvey and Brian Degger mesh well with those who are researching synthetic biology. "We have now moved to the second wave of biotech which is the ability to order custom DNA, buy it online and get it delivered to you," said James Brown, a PhD student studying synthetic biology. "We're at the point of asking can we develop a language and set of fundamental engineering tools that we can apply to biology in the same way we do in mechanical or electrical engineering?" In the same way that standardised screw threads helped engineering bloom, so the push to create standard biological parts that can be bolted together could kickstart a revolution in biology. "What defines synthetic biology is not just identifying genes and switches and other elements but piecing them together into devices," said Mr Brown. "It's about how we might think about putting them in a cell and almost programming behaviour." Also, he said, being able to create plants that produce seeds so medicines can be grown rather than made could completely change the economics of drug production. For Cathal Garvey, it is likely that makers and hackers will be part of this movement and help to drive down the cost of biohacking. After all, one thing hackers love to tinker with is complicated kits and the tools to manipulate them. Home biologists may produce kits to test for allergens at home or take on the projects that pharmaceutical companies would not because there is so little profit to be made from them. Being able to separate out DNA in a kitchen is not an entirely frivolous exercise. Part of the thrust of the DIY bio movement involves taking experiments typically done on expensive equipment in expensive labs and making them much more accessible. For instance, Mr Garvey has produced a centrifuge that works with a Dremel - the power tool gadget that the serious maker or hacker is never without. 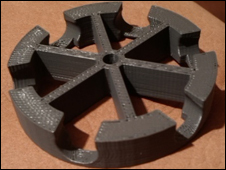 The design for the wheel that holds the samples being spun was drawn up on a computer and prototypes were fabricated with a 3D printer. The design for that wheel is now available via the website of 3D printer company Shapeways, which holds libraries of all the objects that people have designed and can be fabricated with its printers. Many in the maker movement predict that home fabrication plants will become ubiquitous - the device people turn to instead of heading to the shops when they need household objects.